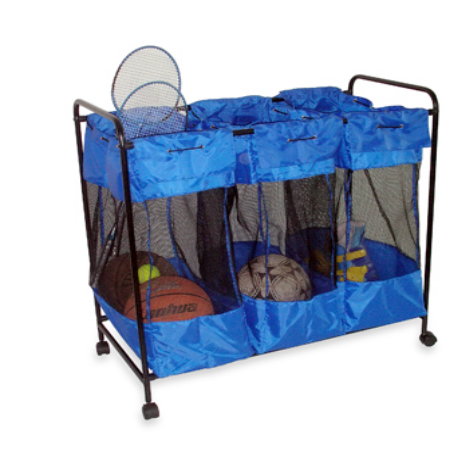 I was looking for best deals online and found this very cute sports organizer which I think is perfect for boys room. It's true, with the absence of an organizer, we have the tendency to put our precious sports equipment elsewhere. Normally, we are having difficulty finding these things as these are just scattered in the room. With this organizer, we can be assured that these sports equipment will be in perfect shape and will not be misplaced. Not to mention that it looks cute. I think this is also washable. Just perfect for our boys room. My nephews could sure use something like this. The boys are great at scattering their stuffs specially the little one who's only 3 y.o. Siguro nga pero so far kasi wala pa akong na encounter na ganyan sa SM. Baka hindi lang ako ganu nakapag libot. Hehehe. Maganda nga sya talaga. Madami kang pwedeng gawin dyan. Di lang sa sports equipment at laundry. Hehehe.